This is a manifesto for a more active, compassionate, and socially engaged Buddhism—one grounded in the Buddha's original intention. The New Buddhism asserts that Buddha was a radical critic of society, and that his vision of a new social order transcended racial and economic divisions. Brazier takes a new look at many aspects of Buddhism and reinterprets them in light of the Buddha's social aims. Western and Eastern visions of enlightenment are juxtaposed, and the author draws a line between 'extinction Buddhism' and 'liberation Buddhism'—the former seeks to release the individual from the world, while the latter seeks to perfect the world by freeing it from the forces of greed, hatred, and delusion. The New Buddhism states clearly and boldly that Buddhism should be—and originally was—about engagement with the world. This illuminating guide brings Buddhism to the West and into contemporary life in an accessible and thought-provoking way. It shows that for genuine renewal, Buddhism must be about more than contemplation and personal growth but also about the practice of truth, and having compassion for all. The New Buddhism by David Brazier was published by Palgrave MacMillan in June 2002. The ISBN for The New Buddhism is 9780312295189. 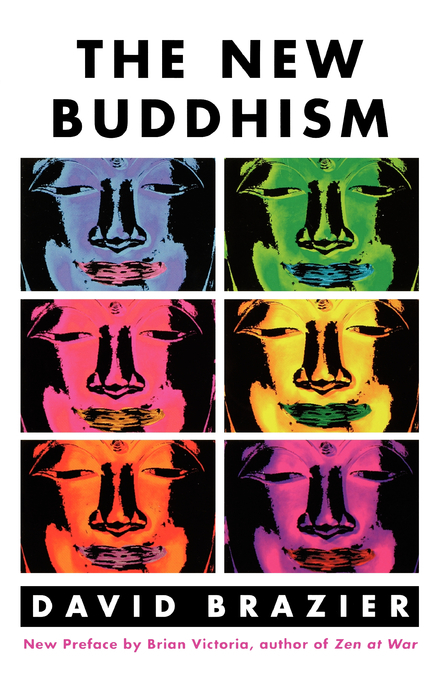 Be the first to review The New Buddhism! Got a question? No problem! Just click here to ask us about The New Buddhism.